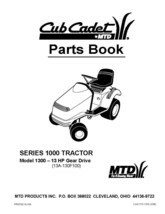 Cub Cadet 13 HP Gear Drive Lawn Tractor Parts Manual Model No. 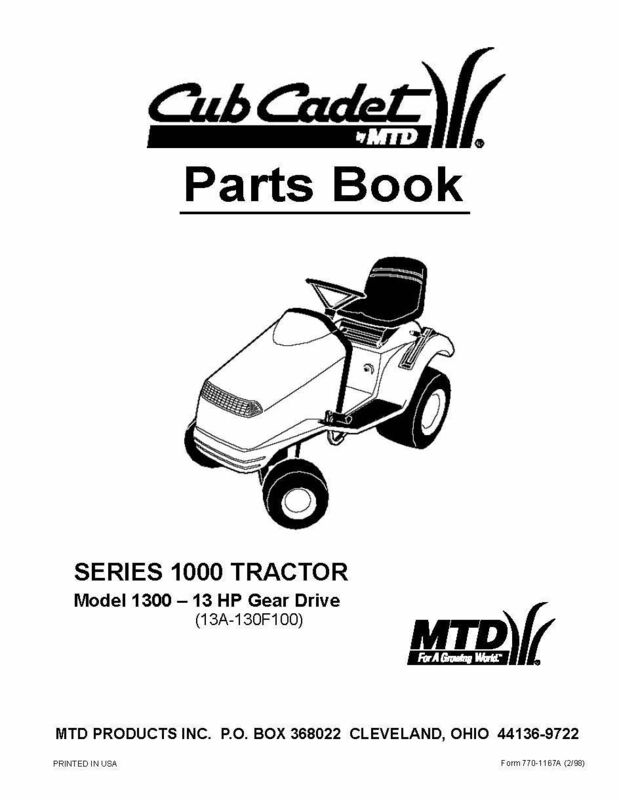 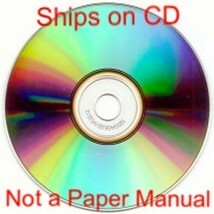 1300 (13A-130F100) MANUAL WILL SHIP ON A CD , THIS IS NOT A PAPER MANUAL Thanks For Looking! !